It’s that time of year—time to hone those gardening skills. 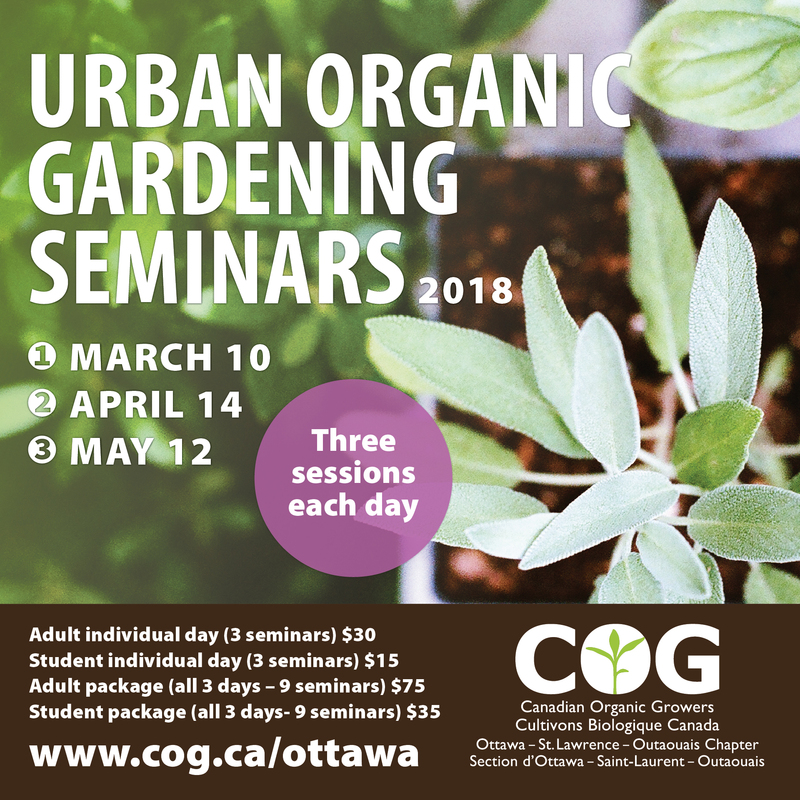 Seminar topics include garden planning, seed starting, container and small space gardening, soil, compost, organic pest and disease management, seed saving and more. See the COG website for details and registration. All seminars take place at the Hintonburg Community Centre (1064 Wellington St W.). Thanks to Caitlin Carrol, Canadian Organic Growers, for the information.